Putting is often the one aspect of an amateur’s golf game which is overlooked the most. It’s much easier to drive to the nearest driving range and start practicing with your irons and driver, as highlighted in our previous article. A good driving range session can be great for your general game, however, if you stop and think about which club you use the most during a round of golf, it’s usually the putter. Roughly 40% of the shots you make during an 18-hole round of golf will be with the putter. So, you need to practice as much as you can with your putter, if you want to have any chance of improving your score on the golf course. Putting grip, stance and alignment are all aspects of putting which you may need to tweak as you progress and we will deal with each in separate posts as they need more explanation. However, for the purposes of this article, we are going to look at simple ways to improve your putting as a beginner. Firstly, you need to understand the green. It’s no good having all the technical aspects of your putting stroke in place, if you do not understand the putting surface. You must examine the condition of the green before making a putt. 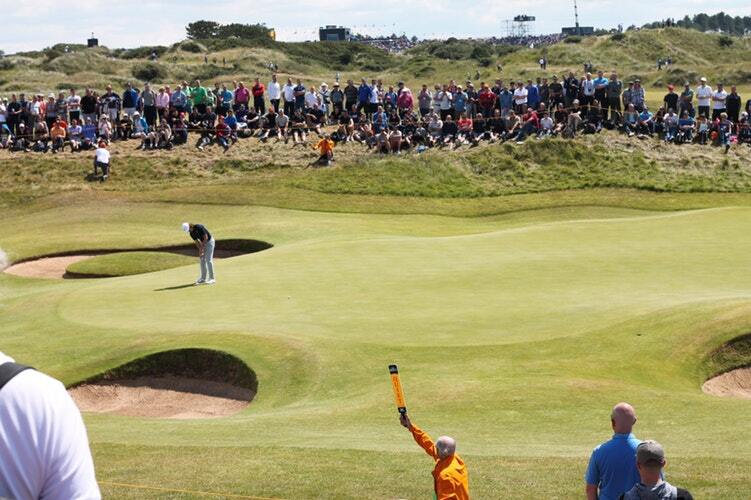 Is the grass a very light shade, in which case has it has been cut away from you and will make the putt faster? Has there been a lot of rain recently which could make the green slower? Take a few seconds upon arrival to the green, to think about these things and you could save yourself a shot. Do not grip the putter grip too hard. Many amateur players grip the club too hard and dictate the swing of the putt. Your grip should be light, with both hands weighted equally and allow the putter to gain its own momentum as it swings along its path. Top help with this, imagine your arms as a pendulum, with the movement beginning from your shoulders. There should be no movement coming from your legs. You can practice this by tucking an alignment stick under both arms and keeping it in position when making a putt. Do not lean back, away from the golf ball and have your weight on your heels. If you tend to rock back on your heels when playing a putt, you will lose control of the shot and may even hit the top of the golf ball, causing it to roll a very short distance. A best-case scenario would see your ball travel in the direction of your weight distribution, rather than your initial alignment. Instead, concentrate on putting your weight evenly on the balls of your feet. This will keep your body in a nice position, over the golf ball and allow your putting to come through in a nice, flowing pendulum motion. Do not put your weight on your toes, as this will have the same impact as having it on your heels. These tips will help you make better putts but nothing beats practice. The great thing about putting is you can practice on the floor at home and work, so there really is no excuse not to do it. If you stood and watched people enter the driving range, you would lose count of how many simply pull out the driver and start hitting balls. Yes, it is called a driving range and there is nothing wrong with using the driver. However, there are better things you can be doing, to get the best out of your practice time. Firstly, you should always begin your practice session by completing some short warm-up exercises. The last thing you want do is step onto the driving range, attempt to hit your driver has hard as you can immediately and do yourself an injury. Just spend a few minutes stretching and warming up your muscles before you take your first swing. Start your practice session with some very easy shots. 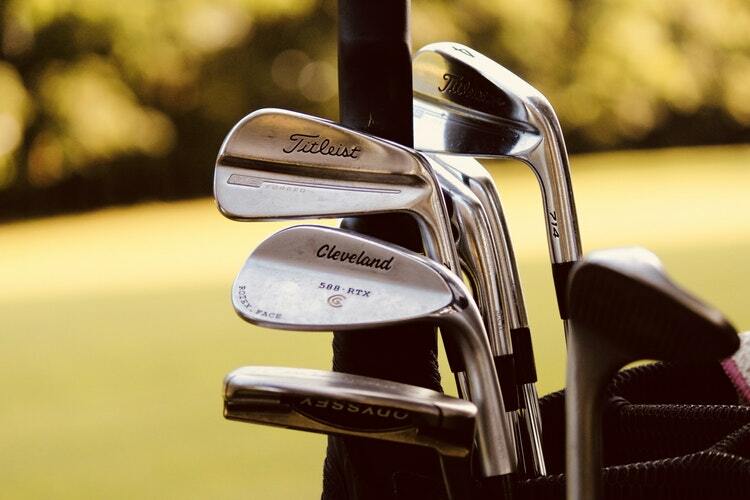 Take out your pitching wedge and play a few short chips before moving on to your other shorter irons, then your longer irons and finally the driver. Think of how players warm up before a tennis match. They don’t step onto the court and start hitting 130mph serves immediately, instead they stand closer to the net and play gentle shots to each other before building up to the more powerful strokes. This should be the same for you when using the diving range. When starting your practice at the driving range, you will have a bucket of balls. If you begin hitting them without any thought, the number of balls will soon diminish and before you know it, you will have none left. You are better off splitting your basket of balls and using 50% of the bucket for your short game, 25% of the bucket for mid-to-long irons and 25% of the bucket for drives. Your short game is the area which will help to lower your score fastest but this ratio still gives you time to strike balls with the driver. 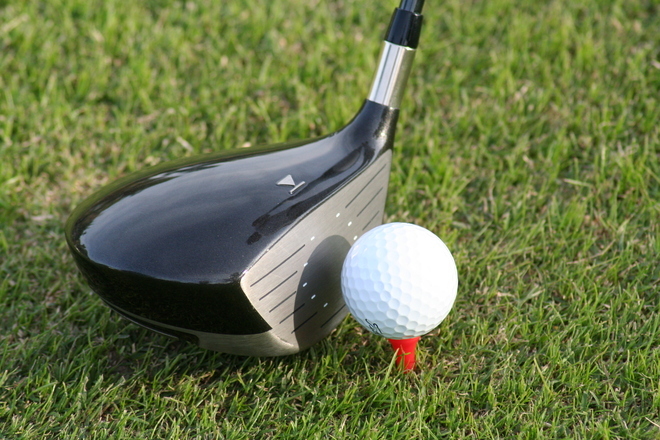 If you play a golf course regularly, you can take that course with you to the driving range. Take a scorecard with you the next time you play and always keep it in your bag. When you arrive at the driving range, take it out and imagine you are on the first tee. Choose the club you would use if you were there and play the shot in the same way. Assess from how you played the shot, where the ball would be sitting for your second shot and do the same again. Clearly you cannot make a putt on the driving range but continue until you are on the green, including any short chip shots you may need to make and move onto the next hole. Doing this will give you more purpose and motivation on the driving range plus improve the way you play next time you are on the course. Not only that but it will have you using all the clubs in your bag, rather than just the driver. You may not have the time to dedicate to playing a whole round of imaginary golf on the driving range, in which case its recommended you concentrate on your shot game. Over 65% of total shots in a round of golf are from short distances, therefore, if you want to lower your score quickly, you should practice your short game more often than anything else. We are continuing our look at the major new rules in golf and today we are looking at a moving golf ball. This means whenever the ball is in motion and more specifically, when you have hit the ball and something unusual happens. Things do not always go to plan on the golf course and mistakes can happen, especially if you are hitting the ball towards the green or where there is a large group of people. This could be the case when playing in a tournament for example and there are other golfers watching on the edge of the fairway or around the green. Previously to the new rules coming into action for 2019, if you hit the ball and it accidentally hit yourself, another golfer, or any equipment, whether it belongs to your or someone else, you could receive a one or two stroke penalty. The same applied for when you hit the flag stick (which as been removed from the hole) when making a putt on the green. However, this rule has changed and if you do any of the above by accident, there is no penalty and you can play your next shot as the ball lies. Clearly there are going to be exceptions to this such as using your golf bag to deflect the ball if you are left in an awkward position but for every accidental coming together between your ball and an object or person, there is no penalty. The double hit rule is another law involving a moving ball that has changed recently. Previously, if you made a double-hit you would be handed a one stroke penalty, regardless of the fact it was an accident. In most cases the ball will not travel a great distance when making a double hit or be on the intended line. In other words, there has never been an advantage to making a doubt hit and the ruling has changed. If you accidentally make a double hit when playing a shot, it will be considered as one shot and you will not receive a penalty. Again, common sense prevails here and you cannot play a putt and quickly try and hit the ball again following the original shot to try and gain an advantage. Not only would that be difficult to accomplish, it would be a deliberate act and not fall under the double hit rule as it concerns accidental double hits only. Hitting the ball out of think grass can pose a huge problem for golfers, especially beginner players. It is easy to become disheartened when the ball lands in deep rough but the first thing to do is accept the challenge. See this is a chance to show off your skill. The first thing to consider is what you can achieve with the ball in the thick grass. For example, if you are 200 yards from the green, it is best to accept you will not reach the green on this shot and get the ball back on the fairway. It can be a difficult pill to swallow but getting on the fairway and then the green is preferable to leaving the ball in trouble again, getting on the fairway and then the green. You will lose power on the swing when playing out of thick grass and that means you need to compensate for that loss. You can do that with your club selection and you may decide to move up a club depending on the distance you want the ball to travel. If the ball is 100 yards from the green and you would usually use a 9 iron, you could opt for an 8 iron instead. Try moving your grip lower down on the club as this will aid stability when hitting the ball out of thick grass. If you use your standard grip, there is a good chance the club will twist in your hand as it comes up against the dense grass. If the club twists, it will lose power and direction on the shot but you can combat that by choking down on the club. Think about the amount of grass you are likely to trap between your club face and the ball. If you believe you will not have a great deal of grass between the two, there is a chance you could catch what is known as a flyer. This will see the ball run fast when landing and could result in your ball being in trouble again or travelling beyond the green. 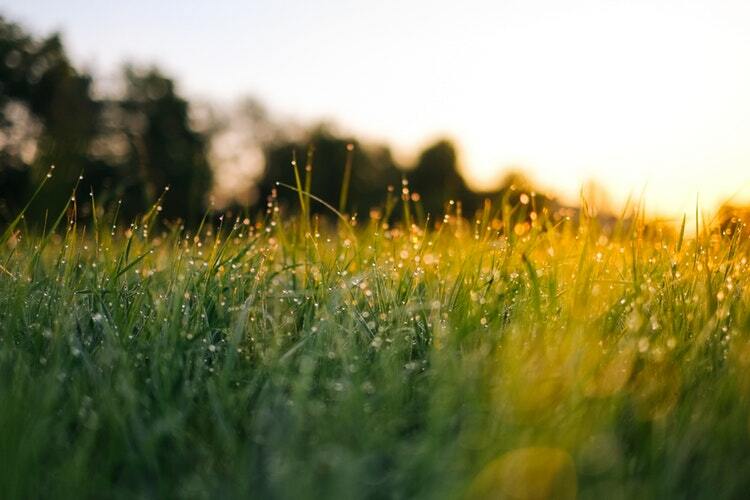 If you believe you have a good chance of catching a flyer, you could take a little off the shot but always run the risk of catching more grass then expected, which will slow the club down further. You need to use your judgement before deciding the size of your backswing and swing speed. When hitting the ball out of thick grass, play it from the middle of your stance. This will help you to keep balance should you meet a lot of resistance on the shot and see the club come down at angle to generate some loft. At the time of writing, the first round at The Players Championship 2019 has been completed. As the day progressed, the wind picked up and that started to make things tricky for the players who had a later tee time. It is important to try and adjust your game when the wind is strong, no more so than off the tee. If you have a strong wind during your round, there is no sense in trying to ignore it and carry on playing as normal. A few little adjustments and you can even use a strong wind to your advantage on some shots. Continue reading below to see ways in which you can play tee shots in windy conditions. Arguably the most troublesome wind when playing a tee shot is a headwind and this is when the wind is blowing directly at you. To combat this, you will need to hit the ball lower than you would in calm conditions and this can be done by teeing the ball closer to the ground. Roughly an inch above the grass is about right and play it slightly forward of centre in your stance. You can also grip down a little on the driver and this will assist in keeping the trajectory of the ball lower off the tee. Depending on the course conditions, you can still achieve decent distance off the tee regardless of the headwind. If you keep the ball low and the fairway is dry and firm, you should get some additional distance from the bounce and roll of the ball. Due to the ball position, it pays to aim slightly to the left of the target, as the ball can go right. Finally, do not lean your weight forward when driving into a strong headwind. It is very tempting to do this because you feel it will help to the keep the ball low. In fact, many players naturally adopt this position without thinking about it and doing so can generate more spin on the ball, which is the last thing you want. More spin on the ball means less distance. 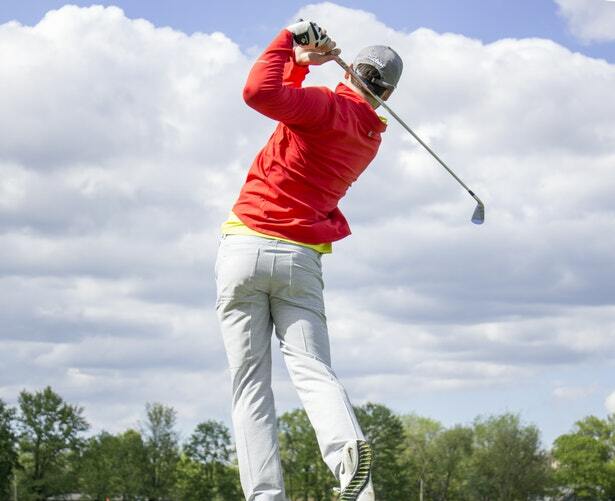 If you are already going to lose some distance because of the headwind, the last thing you want is to reduce the distance of the shot further by generating unwanted spin on the ball. Try and keep your weight centred throughout the shot and take a short, smooth swing to keep the ball lower. 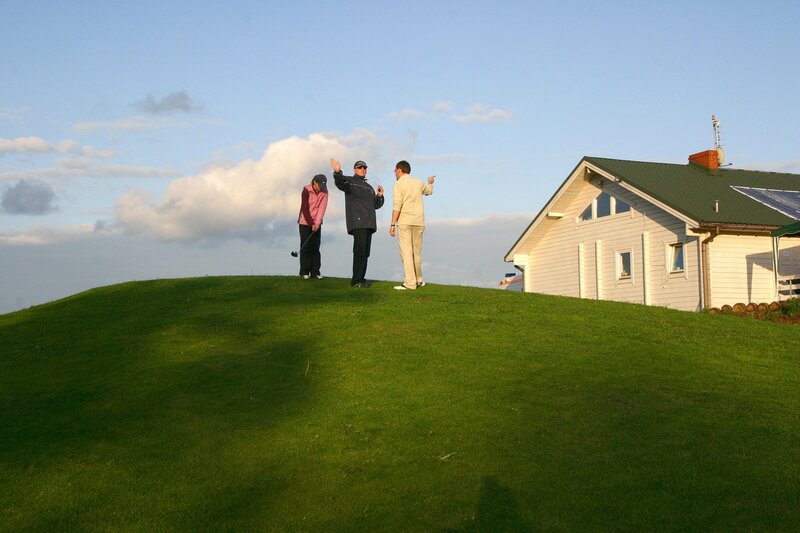 You have probably found yourself in a situation on the golf course when a playing partner has offered you some advice. Whatever the advice is, hearing someone you play with start telling you what you are doing wrong can be both very annoying and have a negative rather than positive impact on your game. However, chances are you have done the same to someone else during a round without really realising it. For most people, wanting to try and help someone else is natural but on the golf course, offering swing tips to another player out of the blue can have the opposite effect. So, what is the best way to go out about offering advice? The problem with offering advice to a player during a round of golf is you do not always know their background story. For example, they could be carrying an injury of some sort but did not want to seem to be making an excuse if they were playing poorly so decided not to mention it to you. If you then begin to tell them what they are doing wrong in this situation, it could anger them as they did not want to share the information about their injury. The second issue when offering advice to someone during a round of golf is that we are not professional players and most of us are unlikely to have any teaching experience. Basically, we are not qualified to give sound advice to another player. What we say could make things worse and if their overall play starts going further downhill, there is a chance they will start pointing the finger at you. That’s not to say some simple advice should never be offered but the key is to stay away from anything complex, such as swing technique and only offer advice on something which is easier to fix. In addition, the way in which you offer the advice is also very important. Instead of just coming out with it, why not ask politely if they are open to receiving some input because you think you may have noticed something beneficial? Straight away you have mentioned the word ‘beneficial’ and that immediately sounds positive rather than concentrating on the negative. It will get the person thinking you are going to say something which is going to be good for them rather than just blurting out a something about a ‘problem’ they are having. If you ask in a positive manner, there is a good chance they will say yes and even if the tip you offer turns out not to be very useful, you have gone about saying it correctly. Wherever you play golf in the world, there will be occasions when the weather is not on your side. A downpour before or during a round of golf can change the conditions dramatically and playing in wet conditions can be troublesome. Today, we have some tips which will help you when playing golf in wet conditions. Wet conditions can lead to some players ‘trying harder’ with their shots. As the ball will not roll as far on the fairway from tee shots due to the wet grass, it can be tempting to swing that little bit harder to try and make up for the reduced roll. This is a mistake and will more often than not lead to reduced distance and less accuracy off the tee. Poor quality shots can often be exaggerated in wet conditions so instead of trying to hit the ball harder off the tee, concentrate more on getting a good contact and maybe even swinging a little less than 100% to achieve that goal. Having better control of your swing in wet conditions is more important than trying to compensate for a potential loss of roll on the fairway. Even if you are a player who rarely achieves any back spin on the ball when playing approach shots to the green, you should be prepared to see some when the greens are wet. Much like the fairways, the ball will not roll as far on the greens when they are wet and this means you should consider taking an extra club. You will need to hit the ball further into the green to compensate for the lack of roll and taking an extra club will help. When putting, you may need to hit your putts a little harder in wet conditions. A putt which you know breaks a little in dry conditions may not break at all or see very limited break when the greens are wet. However, not all greens on the course will play the same when wet and if there are some greens which have a significant slope, they may have dried quicker than others. The rain water may have drained away and this will make the putting conditions faster than the flatter greens, forcing you to adjust your putting expectations again. Talking of expectations, you should not expect to play to your usual level when the course is wet. The likelihood of making a bad shot increases but you need to keep a positive attitude. If you start blaming the fact the course is wet for everything that goes wrong, it is going to be a long round. Don’t let one poor shot or hole get you down and enjoy the challenge. You may have each club in your bag worked out. Having spent time at the driving range you know what to expect in terms of distance from each club in your bag and when you are left with that distance on the course, you are confident. However, there will be times when the distance remaining to the green does not match the distance you can hit with the clubs in your bag. The yardage to the green will sit somewhere between the wedge and 9 iron for example. What do you do when this situation arises? Using the example above, if the distance left to the green is between a wedge and 9 iron for you, there is no point in considering the wedge for this shot. You can immediately rule it out because there is no way you are going to reach the green and swinging the club harder is not going to create more distance, only lead to problems. So, you need to use the 9 iron but cannot afford to hit it the full distance because the ball will travel over the green. In this instance, the best thing to do is to take a shorter back swing. Knowing how much to take off the backswing to hit the ball the desired distance is not easy and takes a lot of practice but it can be done over time. When at the driving range, try playing shots with the 9 iron at three different stopping points on the back swing. Always come through and play the rest of the shot and you normally would, do not be tempted to move slower through the ball as this will result in a poor shot. Always swing through the ball at the same pace, regardless of the distance you want to hit the ball. Try playing 10 shots with the 9 iron stopping when it is parallel to the ground on the backswing. Do the same thing again but this time when your forearms are parallel to the ground and measure the distance the ball travels when it lands each time. Using this information, you can work out an average distance you can hit the ball for each of the two backswings. You can do this for every club in your bag if you wish and you will be armed with the knowledge required to play shots between yardages on the golf course. Just remember never to slow down on the swing speed and rely on the backswing to generate the desired distance on the ball. 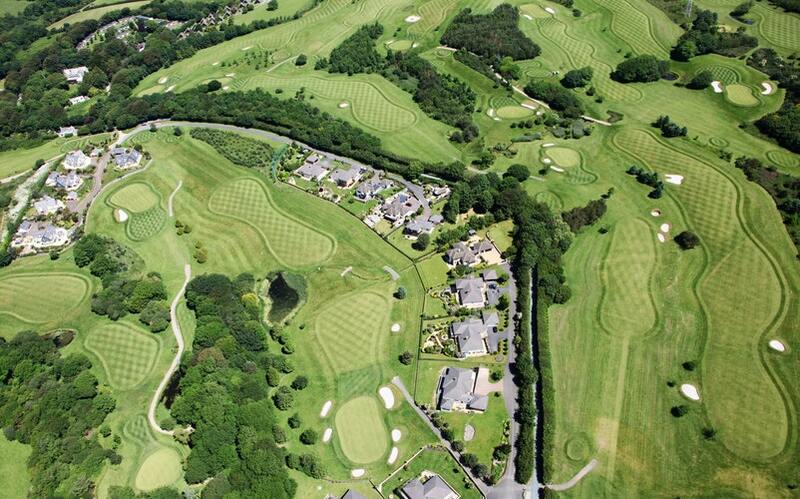 Many people play golf purely for leisure and have no interest in playing competitively. However, it is surprising how many people start playing golf with that attitude but once they become a member of a golf club, it can be difficult to resist the lure of a tournament. Every golfer, at some point in their career, played in their first tournament. It can be a nerve wracking occasion but what can you do to ensure things go as smoothly as possible when playing in your first golf tournament? Some things should seem obvious but you will be amazed at how many people forget to so something as simple as clean their clubs the night before, make sure they have enough spare balls in their bag and head to the golf course in plenty of time to tee off. These are basic things which will help you relax and allow you to focus on the tournament. Having water and snacks in your bag is important and you need to keep hydrated and fed, as this will help your energy levels. In the few days leading up to the event, you should be gearing your practice towards the tournament and the golf course. Get the scorecard for the golf course and look at the holes on the website, planning the best potential route on each hole. You may feel this seems excessive for a local tournament but you can rest assured every other player who is going to play well on the day, will be doing something similar. Do not put yourself at an immediate disadvantage with a lack of preparation. You may be busy with work and family life but even if you can fit in a couple of hours to think about how you would like to play each hole, it will be a big help on the day. You will be feeling nervous playing in your first tournament, so anything you can do to make things easier for yourself, such as club selection on each tee, will be a big help. Putting will be very important so if you have little time for practice due to other commitments, focus what you do have on your putting. This is the only club you will use on every hole (unless you pull off something spectacular) so it pays to feel confident with the club and know you are putting confidently. 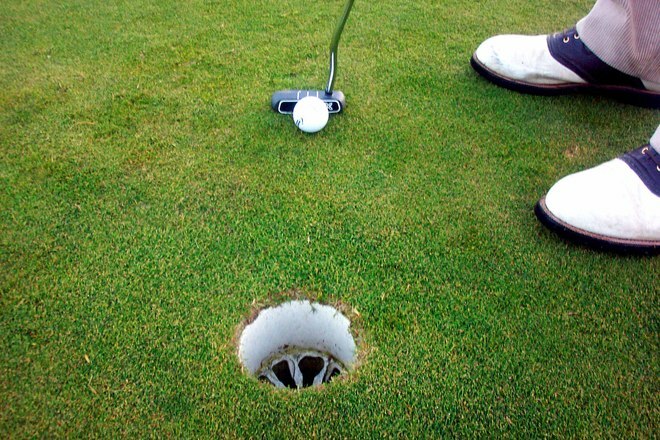 Remember, you are trying to get the ball into the hole in as few shots as possible. There may be people watching but you are not there to impress them by trying to hit the longest drive of the day. Focus on getting the ball down in the fewest number of shots possible and forget what looks good to the gallery. If you get in trouble, which is highly likely during your first golf tournament, do not try and play a miracle shot. Get the ball back in play with the sole intention of limiting the damage. If you try something special and it does not come off, you could put yourself on the back foot for the rest of the round as you try to make amends. It is not as fun to always play the safe route but come the end of your first golf tournament, you will be happy you did. Golf rules not only cover what happens in terms of play, such a ball getting lost or going out of bounds, the rules also cover the use of golfing equipment. This includes clubs and other devices, which we will come to shortly. Occasionally, frustration can get the better of us on the golf course and this can lead to actions which we later regret. However, at the time we needed to vent of frustration and that can sometimes lead to a golf club being damaged. If you hit a club into the ground in anger following a bad shot and the club is damaged, you can now continue to use that club during the remainder of the round. This is a new rule for 2019 and differs to the previous rule which stated you could only use the damaged club is the damage was caused during normal play. If you damaged a club because of frustration, you could not use the club again but for those of us who let anger spill out now and then, you can continue to use the club under the new rules. 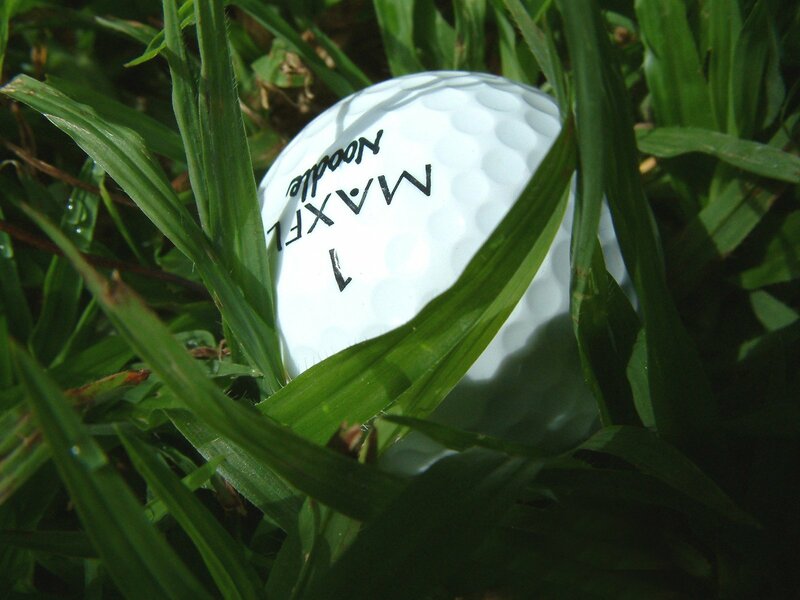 If you are looking for your golf ball, need to check if a ball is yours or for potential damage to a ball you were required, under the old rules, to inform your playing partners or a tournament official of the action you were about to take. Lifting a ball always had to be observed otherwise you would be penalised. However, the new rules have seen a change to this law and you can now lift a ball to inspect it, without informing anyone else. In addition, you do not have to have someone observe you lifting the ball, you can do it on your own. This change to the ruling for 2019 places trust in you and your fellow golfers to lift the ball and replace it in the same position and can save a lot of time when you need to inspect a ball during a round. Finally, we come to the use of rangefinders. Prior to 2019, a local rule was required which stated you could use a rangefinder on the golf course and if that rule was not in place, you could not use the equipment. The rule has since been reversed and now you can use a rangefinder unless the golf course has a specific rule which prevents you from doing so. The legality of the rangefinder is in the hands of the golf club, as it was previously but they must take steps to ban the equipment from the golf course and if they don’t, you can feel free to use it as you wish.